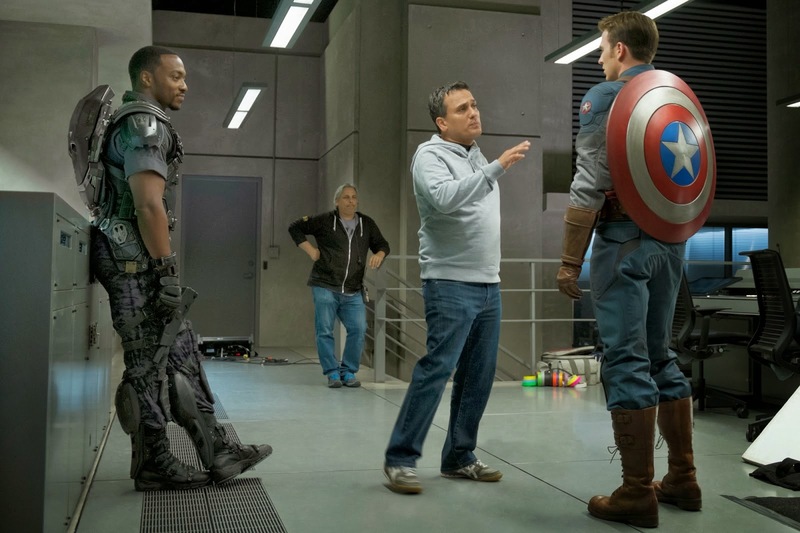 Did you see a black guy flying in Captain America 2, but don't know much about him? 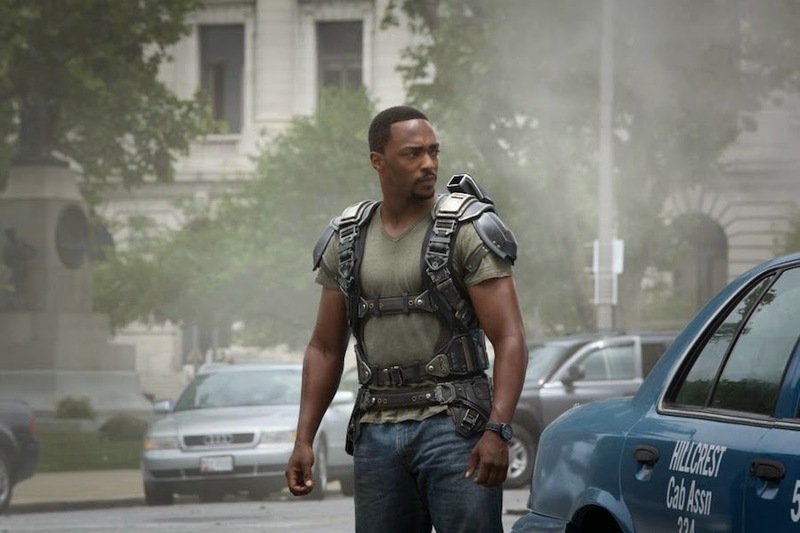 Here's everything you need to know about Anthony Mackie's Falcon in Captain America: The Winter Soldier including why Falcon is the most important minority character in the Marvel Cinematic Universe. 1. Samuel Wilson was introduced in Captain America #117 (1969) and he's mainstream comics' first African-American superhero. 2. 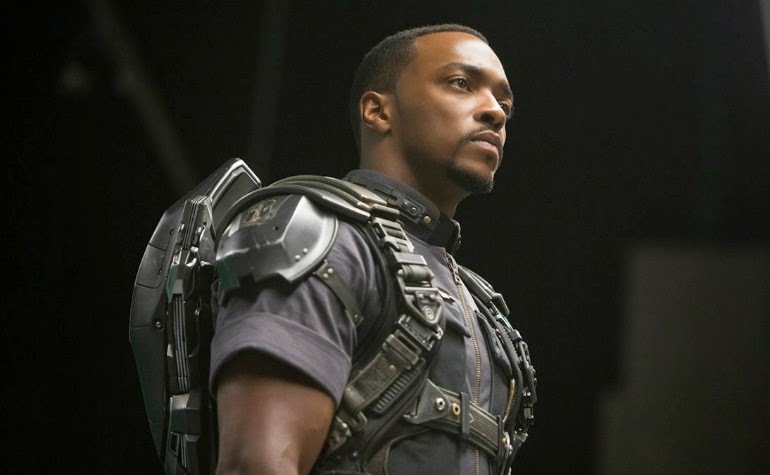 Anthony Mackie petitioned Marvel for five years to play Black Panther. But he agreed to play an unnamed Marvel character after meeting the Russo brothers. 3. 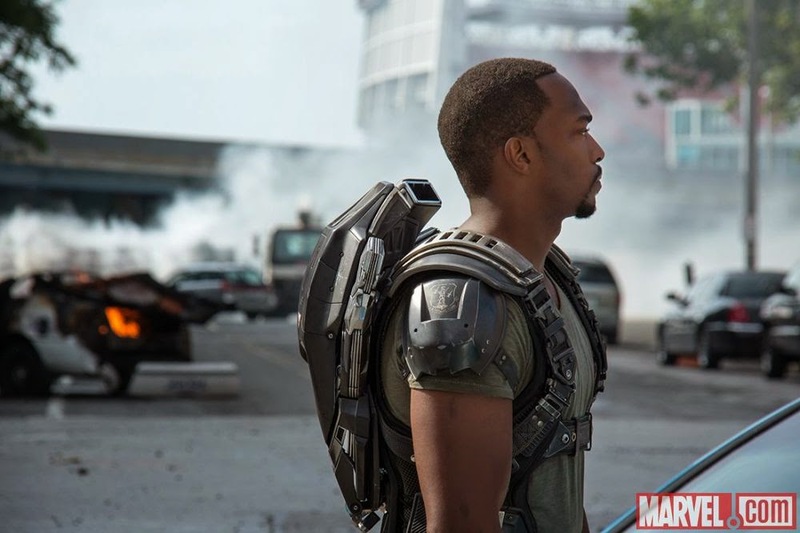 Mackie was originally told he would be the second-lead in the film and was upset when he read the script and found his character's role much smaller. 4. Falcon isn't a sidekick. Anthony Mackie said, "It's interesting because a lot of people equate it to Batman and Robin, but the reality of it is it's more of a working relationship, a respect relationship as opposed to a leader and follower." In the comics he and Captain America are the oldest of friends and they had a team-up comic called Captain America and the Falcon. 5. Mackie worked out for five months and was disappointed he didn't get to wear Spandex. But he said the military style uniform is "dope." 6. They couldn't get Falcon's spring-loaded gun mechanism to work, so they made them CGI in the film. 7. To prepare for Sam Wilson's role as a veteran Post-traumatic stress disorder (PTSD) counselor he talked to real soldiers he met while working on The Hurt Locker. 8. The flying suit made him nauseous, gave him bruises and pain in his back. He said "nothing is more painful" for an actor than to be a flying superhero. 9. Anthony Mackie and Chris Evans, who plays Captain America, became close friends on the comedy What's Your Number? (2011). 10. Falcon was the first black superhero that didn't have the word "black" as part of his name, like Black Panther and Black Lightning. Not that there's anything wrong with them but it's a nice change. 11. 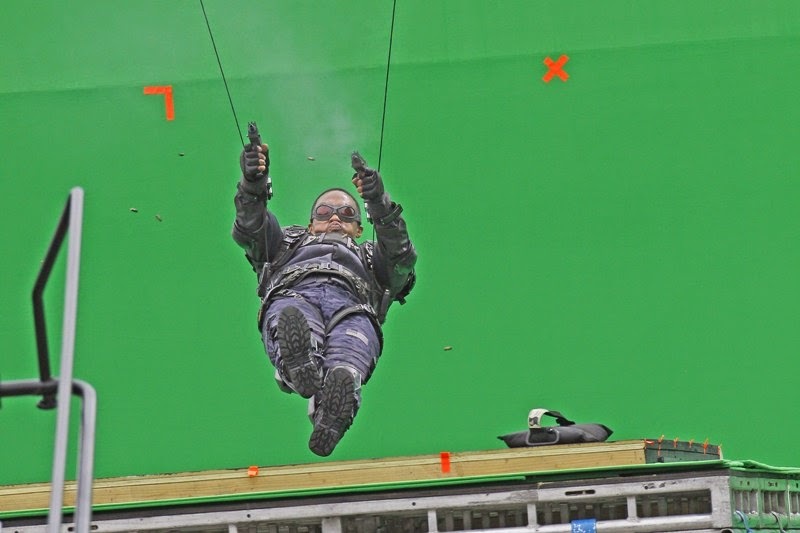 Anthony Mackie is "deathly afraid of heights" but agreed to wear the harness and be hoisted up as high as 70 feet (21.3 metres) into the air. 12. 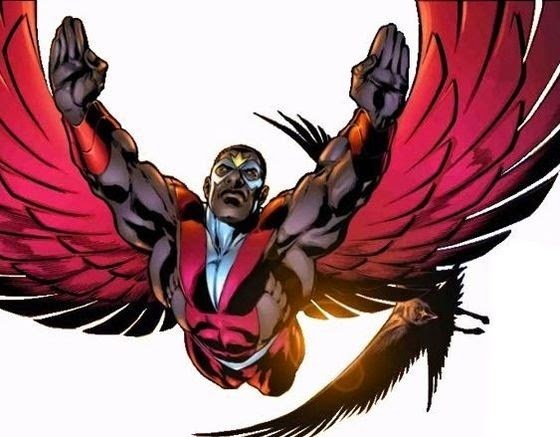 Directors Joe and Anthony Russo hate the comic book character's red costume and pet falcon named Redwing, but Anthony Mackie said he's "going to get them" in his next appearance. What do you think of Sam Wilson? 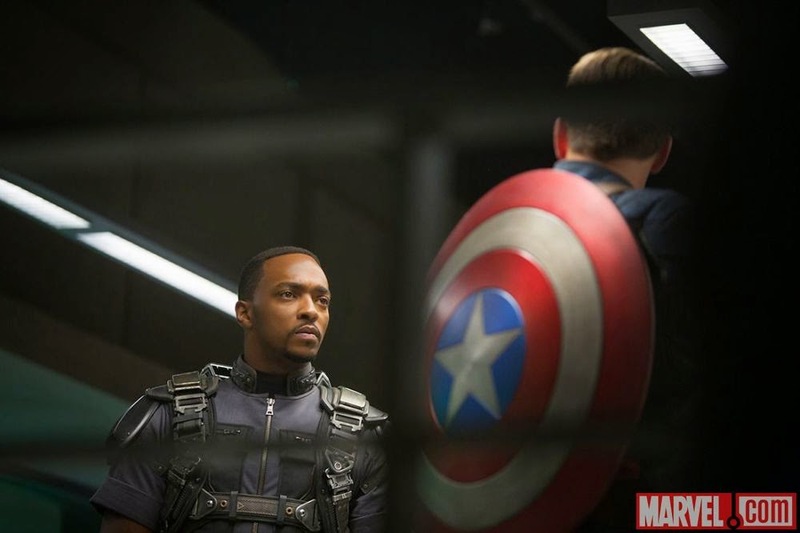 Are you excited to see Falcon in Captain America 2? Should Falcon get a solo film? So can he talk to birds in the movie? That doesn't seem like something they would do but I gathered from a few Captain America comics I read that he can do that, like the wogs in Game of Thrones. I'd agree with the Russos about the red suit but I'm sure they'll find a way to make it look less corny. I was thinking it's funny that Anthony Mackie and Jeremy Renner were both in The Hurt Locker and now they're Marvel heroes. Guy Pearce was also in that movie and he was a villain in Iron Man 3. Is there some hidden connection between the people who made that movie and Marvel/Disney? He was a highlight of the movie for sure. #4 He is not a sidekick! He was great as Falcon. You could tell that he and Chris Evans had chemistry. I loved his line that he 'does what Cap does, just slower'. 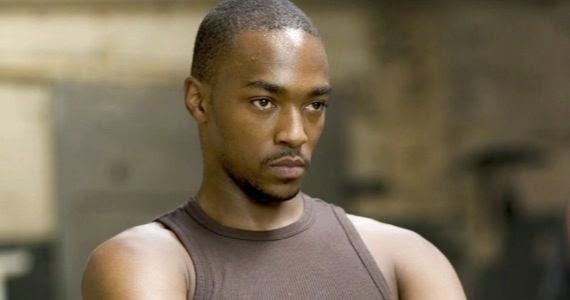 Anthony Mackie Pretended Nick Fury Was The Falcon’s Dad. Conan interview. I'd say he's a major reason to watch the new movie. He looks to make a fine lead. I haven't seen this yet, but I have a good feeling about his performance after reading this. You know you're right Pat. Maybe they recommended each other. Not yet, but I see it coming soon. They've done stranger things in the movies. Falcon is the main reason I watched the movie. He was hands down my favorite character in the movie and Mackie did a great job playing the role. I see an origins movie in the little we got from his back story. I am glad he didn't wear the red and white spandex. It doesn't fit with the current universe. I loved the military style look he had in the movie. Great points. Mackie totally rocked it Deanomachino. If he’d been the comic relief I would have walked out But he was cool, strong and a total soldier. It would be tough to pull off spandex, but I’m hoping the next costume will have the colors at least. I think a dark red and dark grey suit would be cool. the actual falcon (bird) might be a bight much unless there is a Falcon Movie, but I wouldn't attempt that until some other titles have hit the screens first. I think it was a great intro to his character who obviously will have a bigger role in Captain 3 and probably the Avengers 2 if not more in the future. But for people to say he made the movie is a bit ridiculous when he was simply a helper in this movie and not in it much. Captain America along with Falcon is one of the most loved superheroes. Do you want the Captain America classy jacket or the falcon costume? Now, you can easily buy them from online stores.